Hire With Your Head (2007) will make you think twice before drafting a standard job offer that’ll only attract standard recruits. Learn when to be the seller and when to be the buyer in the HR market so that you’re guaranteed the pick of potential employees. By rewriting the recruitment process from advert to interview, Hire With Your Head will revolutionize your hiring practice. 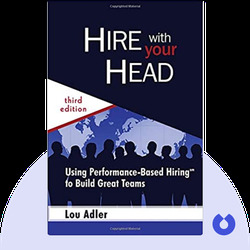 Lou Adler is a recruitment expert, best-selling author, international speaker and columnist for a number of major recruitment sites including LinkedIn and Kennedy Information. 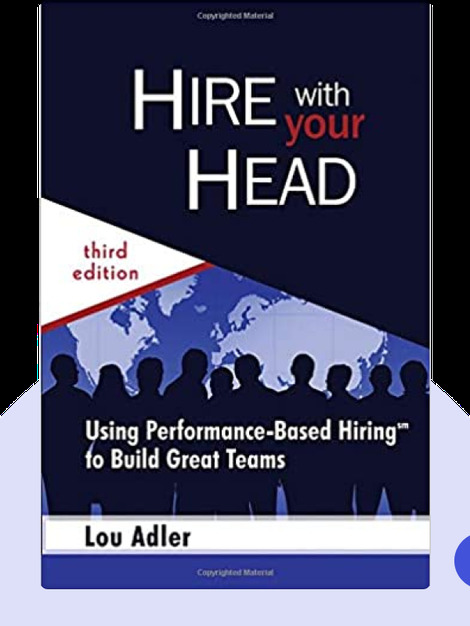 Lou Adler: Hire with Your Head copyright 2007, John Wiley & Sons Inc. Used by permission of John Wiley & Sons Inc. and shall not be made available to any unauthorized third parties.